“I don’t like the Vietnamese term for the Internet,” Lượng said one night at dinner. 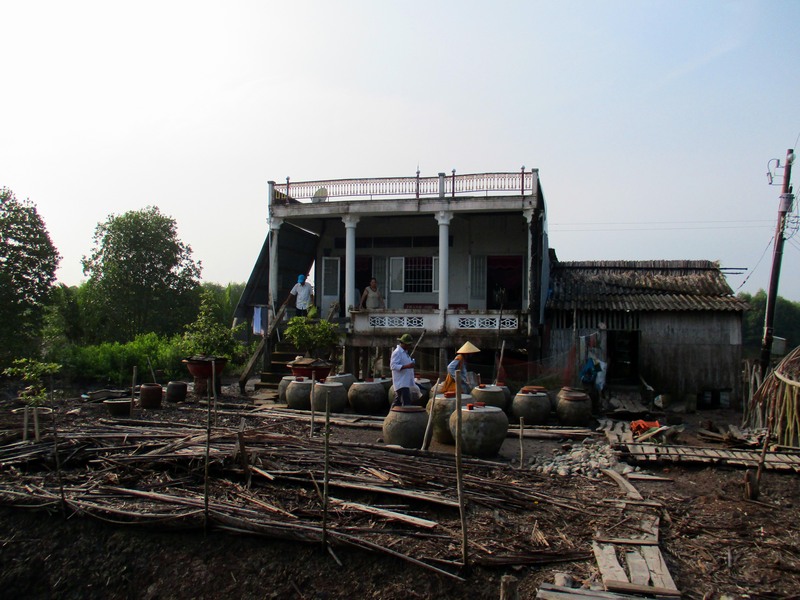 During my husband’s childhood in Vietnam, there was no Internet, so it’s only been on recent trips back that he’s heard the Vietnamese word for it. “They don’t say Internet?” I asked. Vietnamese-American’s sprinkle English words like Internet into conversations in their native language. I’m used to hearing them calling California Cali and mopeds honda. On a trip to Vietnam in 2007, we saw Internet café’s in every town and kids out in the deep countryside sitting inside gaming rooms playing Grand Theft Auto. 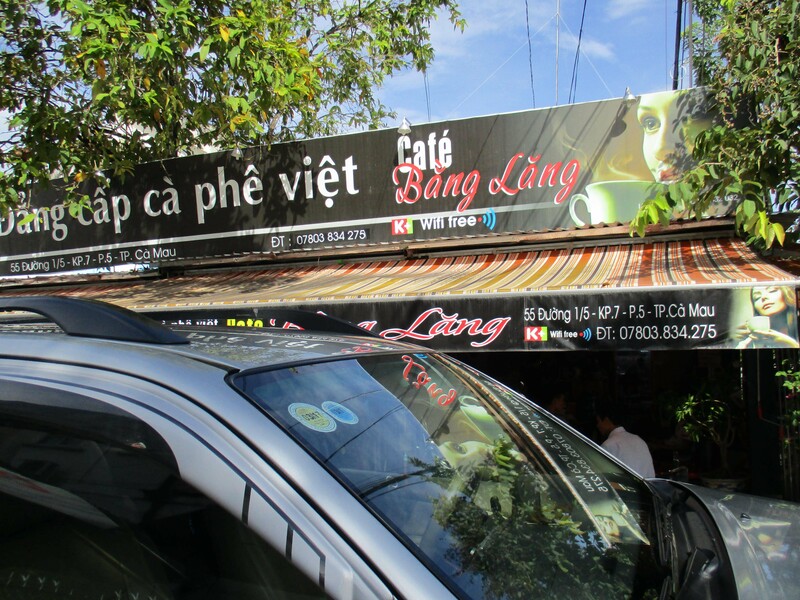 When Lượng visited his family in October of 2015, cafés offering free wifi had replaced Internet cafés. A game room that a family had in their house across the street from a relative had closed. Connections to the Internet are everywhere, even in the most rural homes. And in most cases the Internet comes through fiber optics—better than our connection at home. A satellite dish on a rooftop of the house of a cousin of Lượng’s who lives deep in the countryside of Vietnam near the southernmost tip of the country. Curious, I looked up mạng in the Vietnamese-English dictionary. Mạng means life or soul as in 50 souls were lost at sea. mạng trời = Dispensation of Providence. And three versions(mạng chung, mạng một,and mạng vong) mean to die. 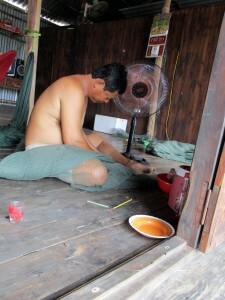 Lượng’s cousin repairs a net he uses in his work raising shimp and fish along the river. But combined as mạng dện or mạng nhện it means cobweb or spider’s web. It also means to darn as in socks. Mạng lưới means to weave a net for fishing…. it also means the World Wide Wide. Mạng is short for mạng máy tính toàn cầu—web of computing machines of the whole world. But that’s a mouthful to say. On my husband’s recent trip to Vietnam he only heard it called mạng. I asked my brother-in-law about the choice of mạng for the Internet. He shook his head. “That’s not what it should be called,” he said. 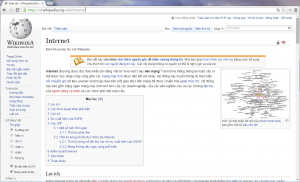 If mạng doesn’t feel quite right, I wondered about other words for the Internet in Vietnamese. “Is there a Vietnamese word for wifi?” I asked my husband. Café offering free wifi in Vietnam. I have to admit I like Ba-Grr (or Ba Gơ in Vietnamese) the best of all of these. And Lượng thinks it’s funny. If you know how to say Internet in another language, please let me know! 10 March, 2016 in Language. Internet in Chinese is 互联网 which means mutually linked network — a nice translation that sounds neutral, captures the meaning well, and takes only six bytes of storage instead of the eight required by the original English name. Thanks for telling us the Chinese name! I agree it is nice and has the benefit of being compact. I’m curious what the original English name was like in Chinese translation. Michelle and Lượng, this is fascinating. 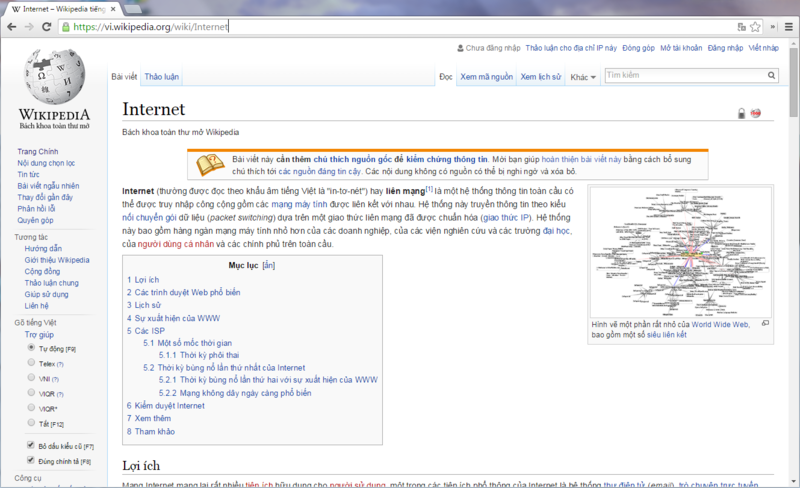 I always thought of mạng as net, as in internet. The other meanings of mạng never occurred to me in this usage. But it’s appropriate, considering the way some people live on the internet! 3 gơ had me confused the first time I heard it too. Not least because I didn’t yet know what 3G was! Thanks for sharing your thoughts on language. Thanks, Chris! I like to pull on a thread and see where it goes. Fortunately, Lượng is patient! This is such a great example of language evolving. I’m glad you enjoyed it, and it’s fun to hear your thoughts about it! Also, thanks for the Vietnamese spelling of 3G. I’m adding that!